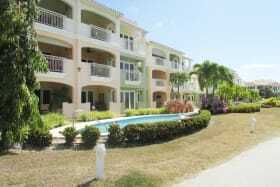 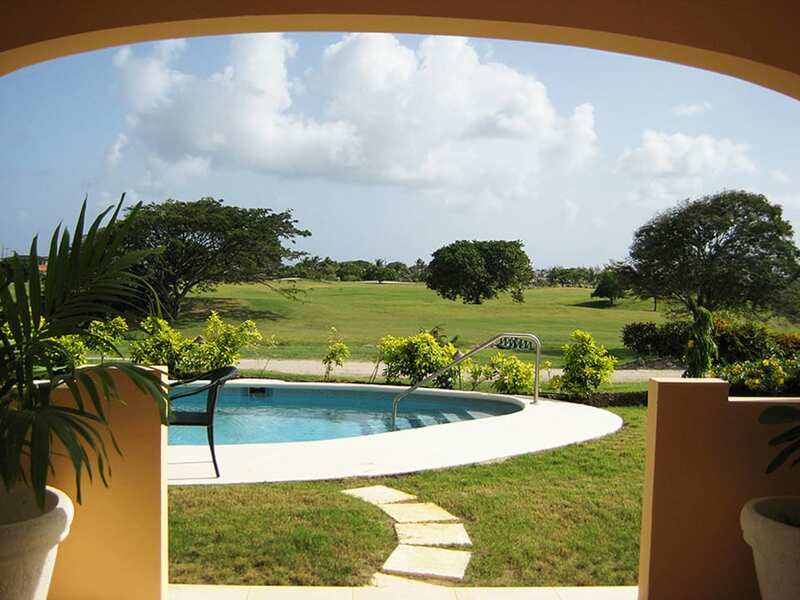 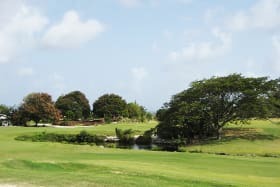 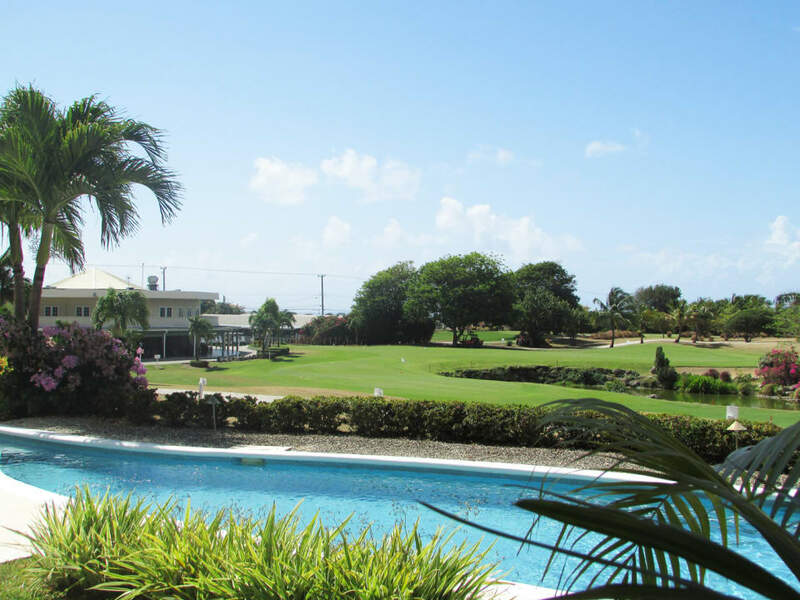 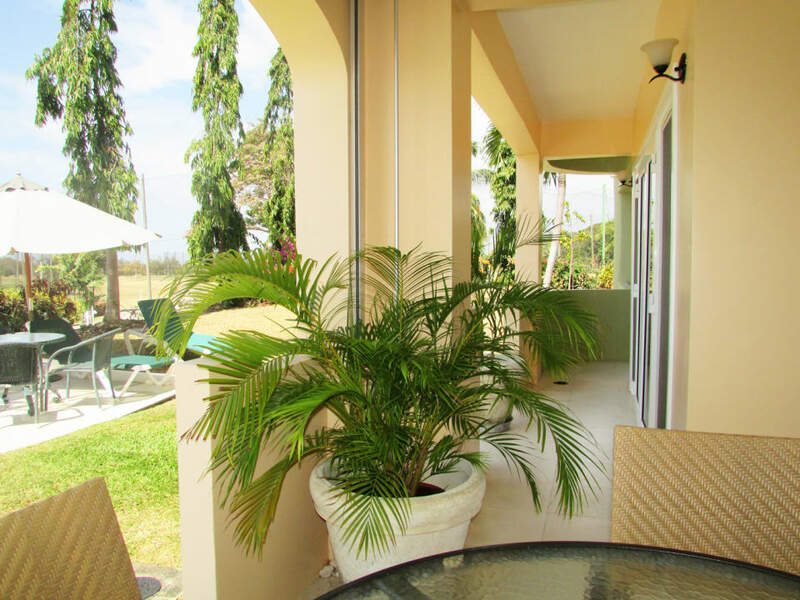 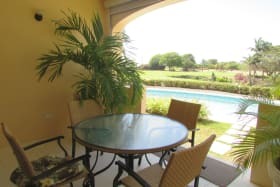 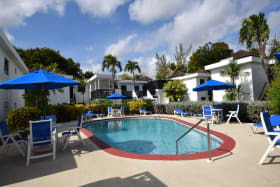 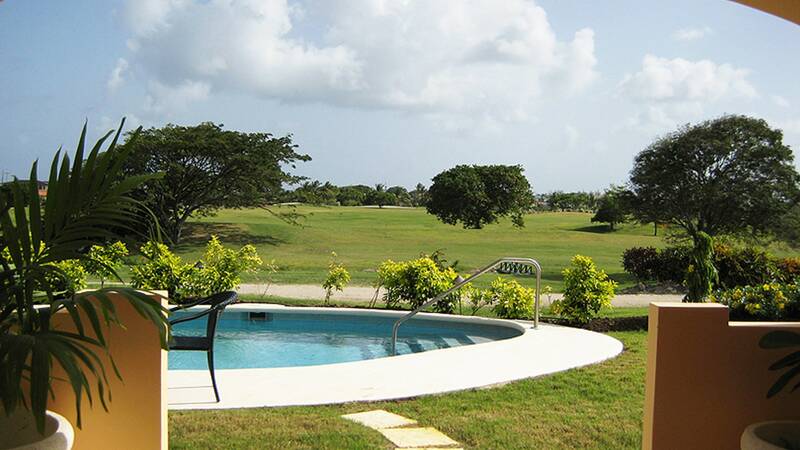 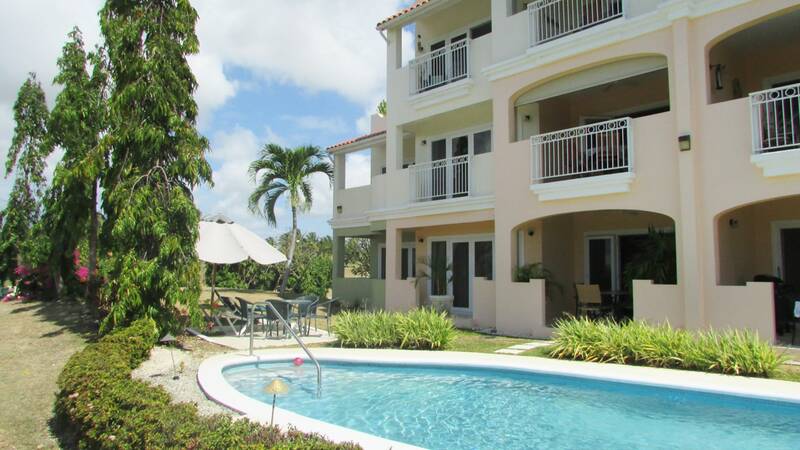 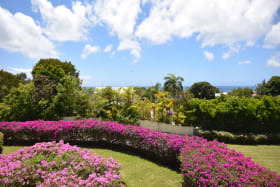 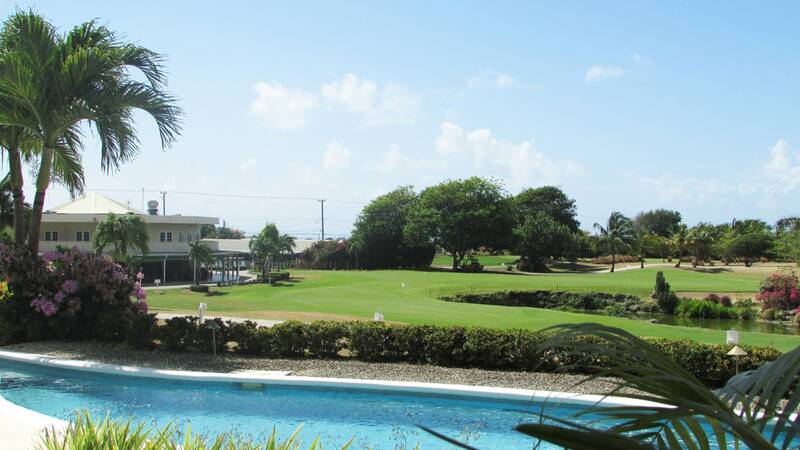 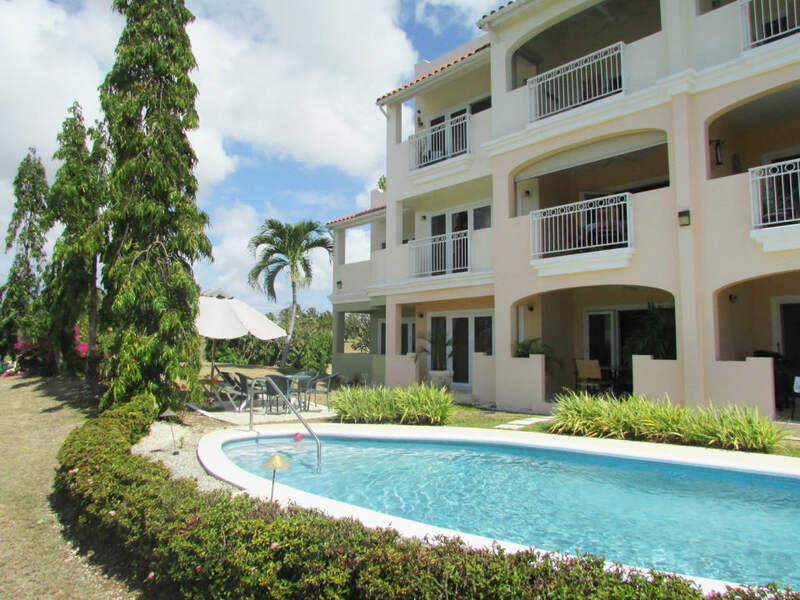 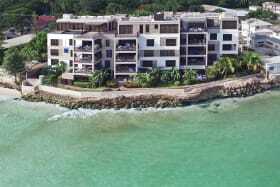 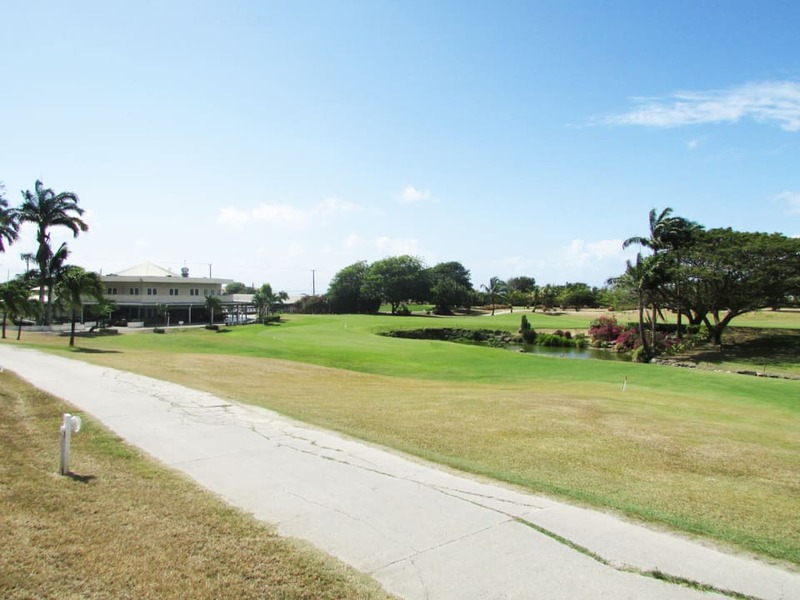 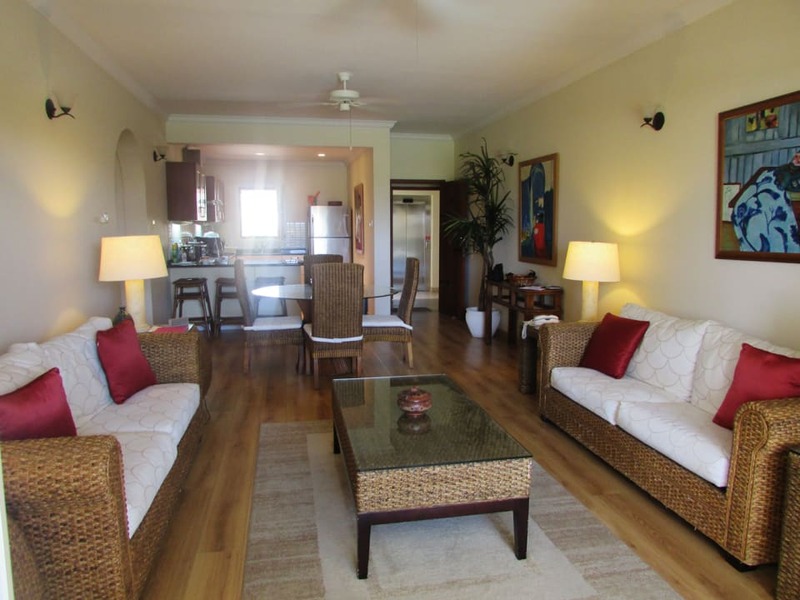 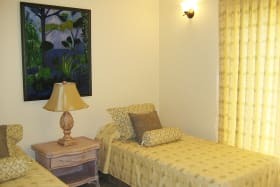 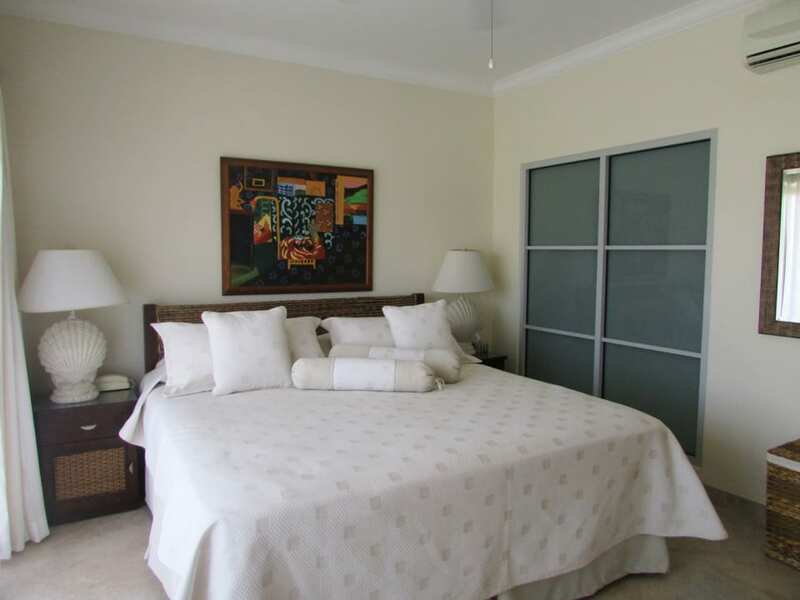 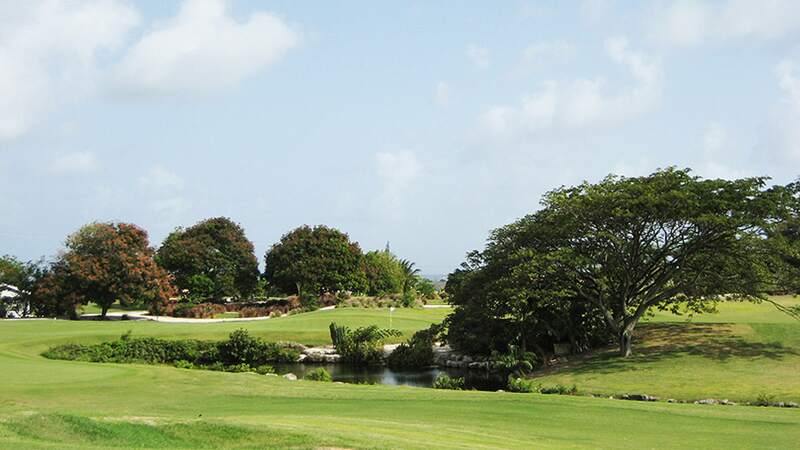 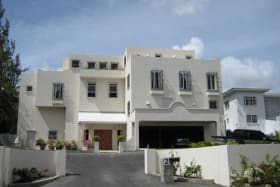 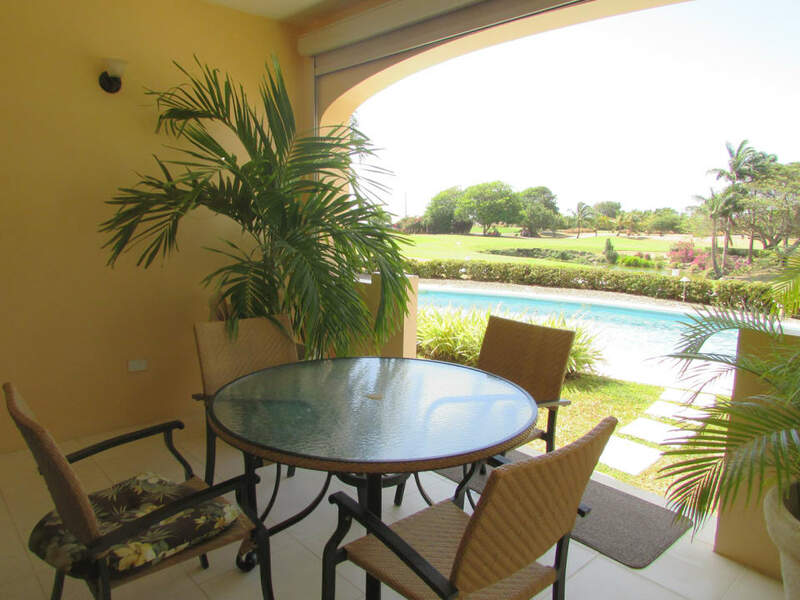 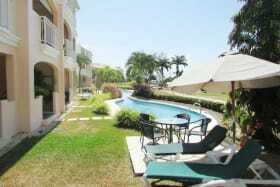 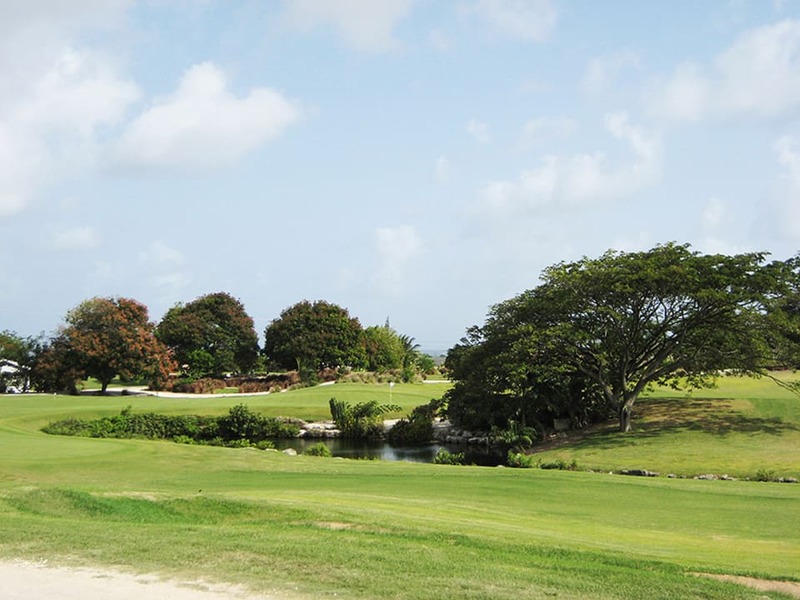 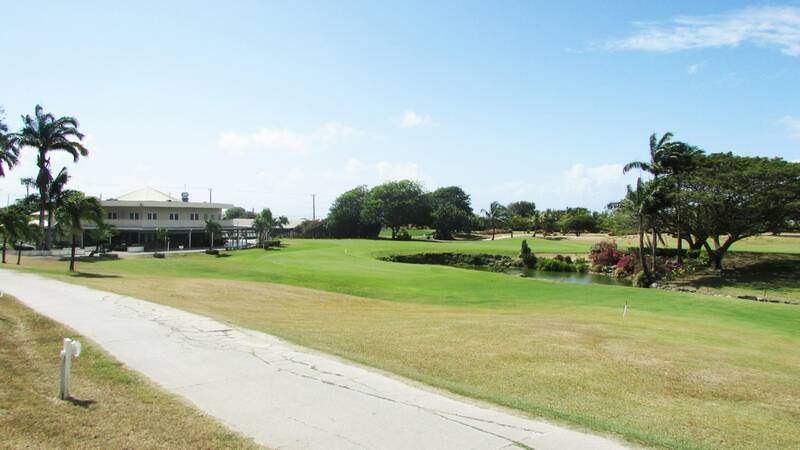 Luxurious, ground floor 2-bed/2-bath suite, offered for rent APRIL-NOV, inclusive of utilities, within this elegant resort overlooking the 18th green of the Barbados Golf Club at Durants. 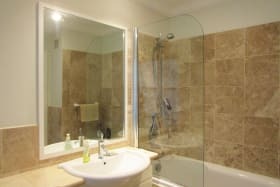 Within 10 mins. 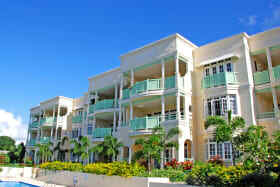 of gorgeous beaches, all amenities and the Airport. 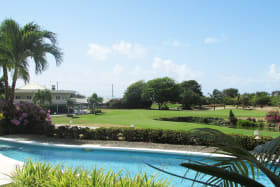 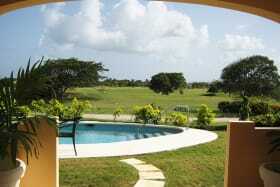 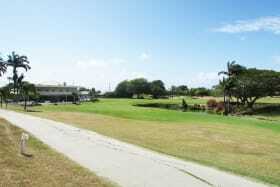 The elevated site commands views over the golf course and South coast. 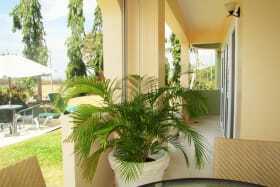 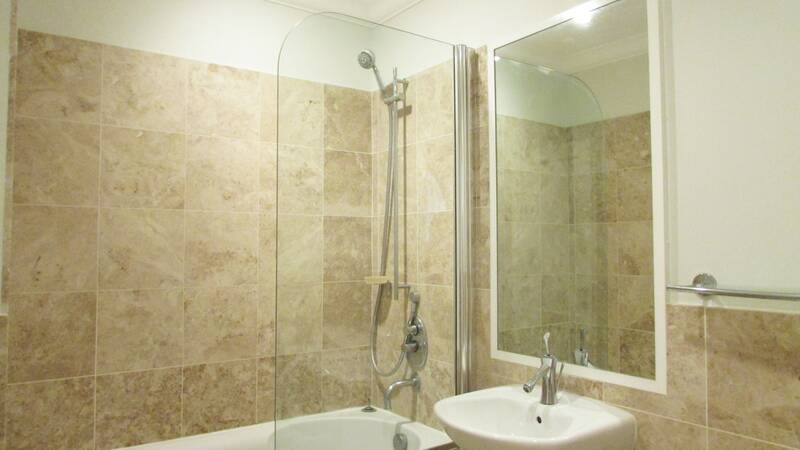 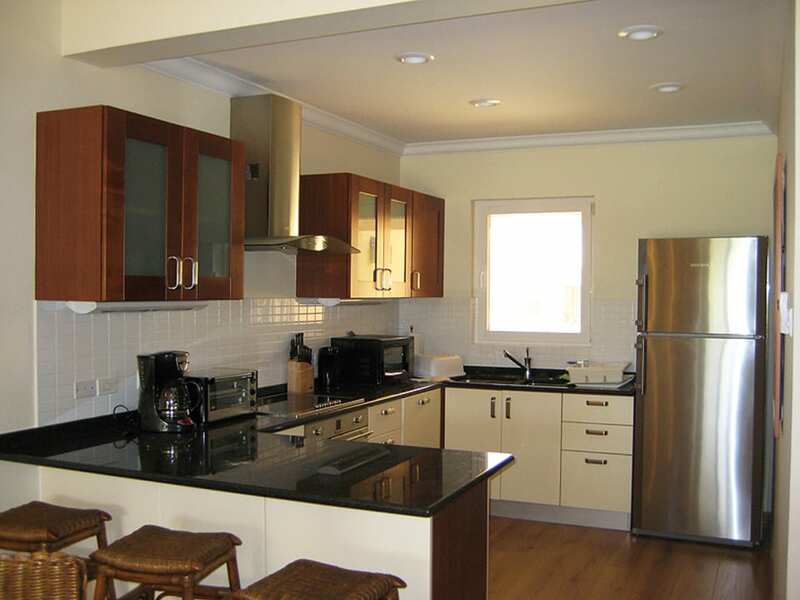 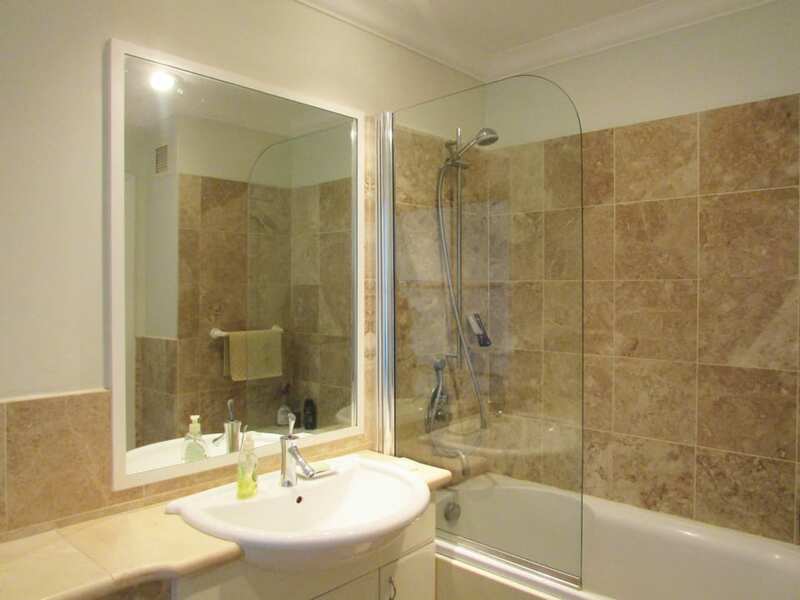 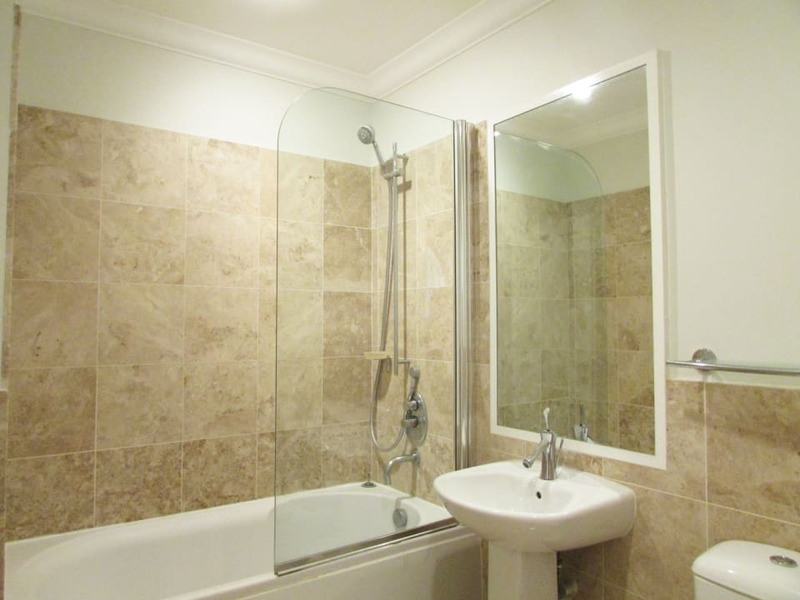 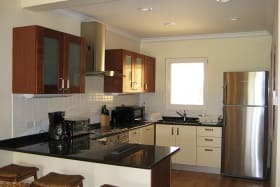 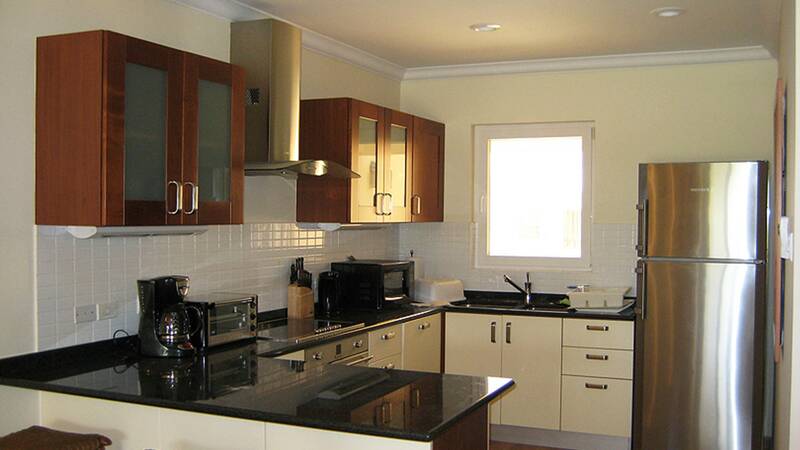 Features of this impressive 2-bedroom suite include fine Italian kitchens with granite counter tops and stainless steel appliances, marble bathroom counters and top quality fittings. 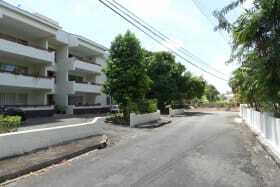 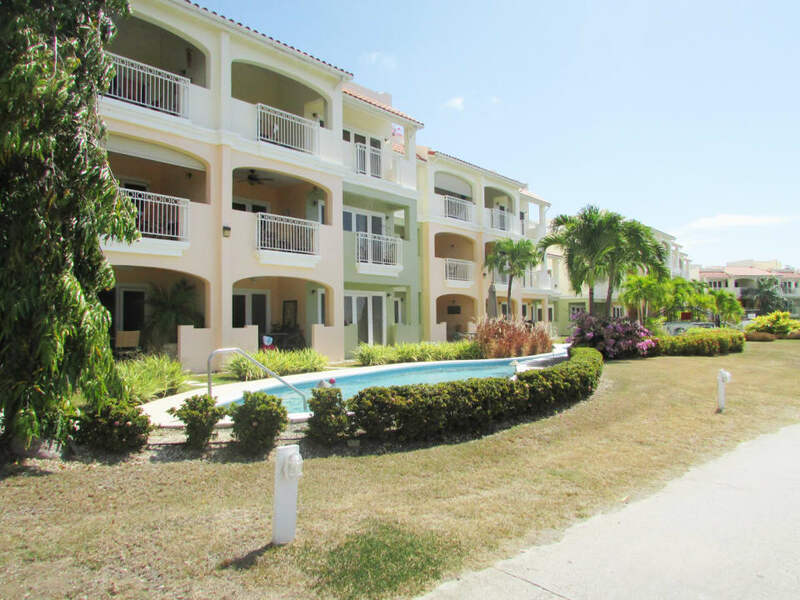 There is an automated gated entrance to the property. 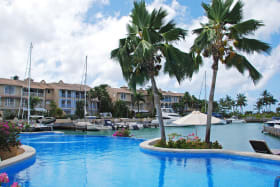 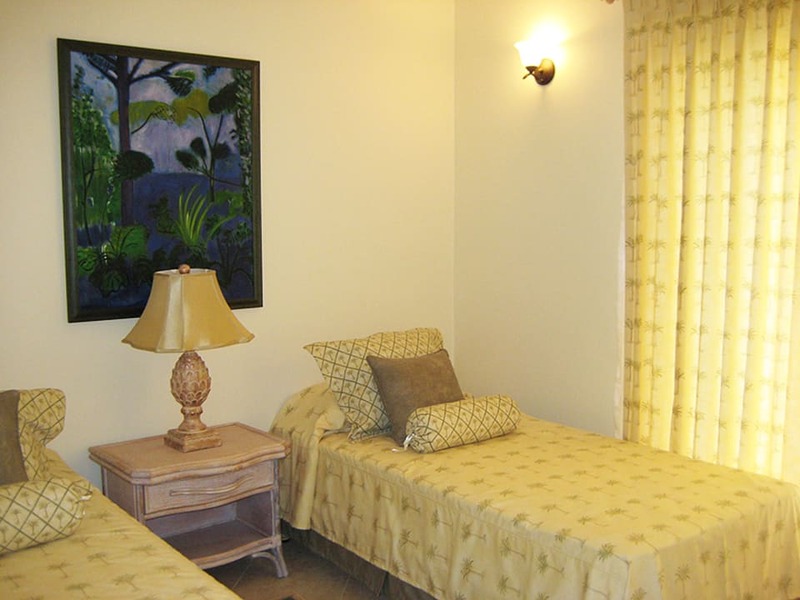 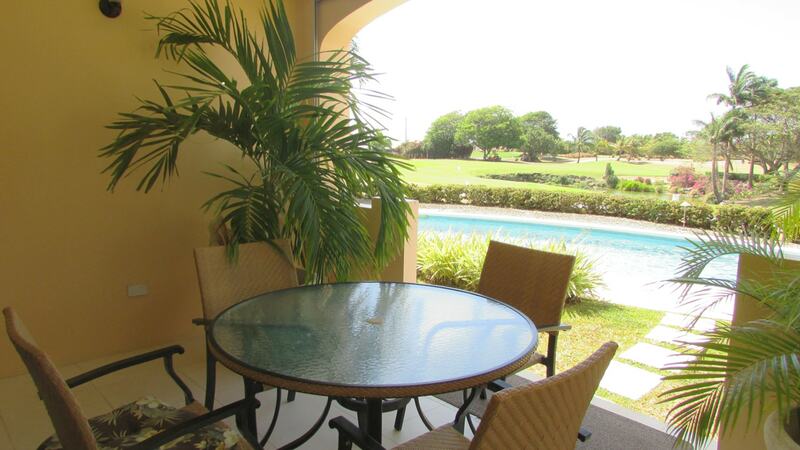 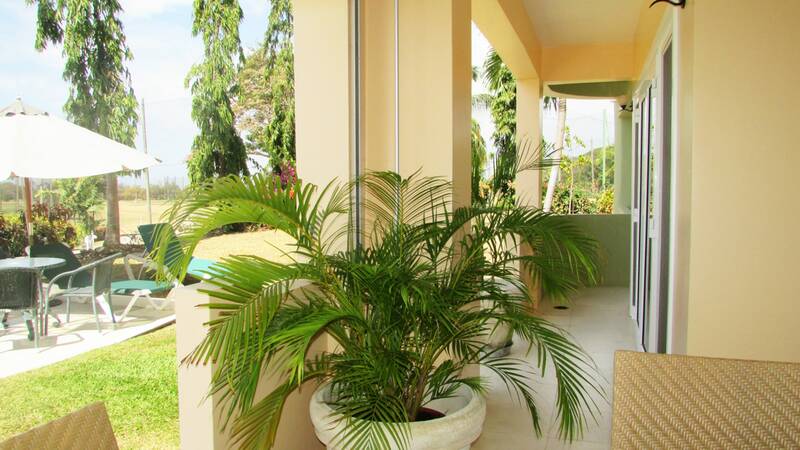 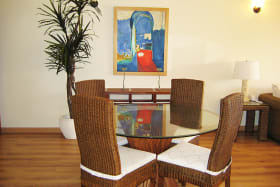 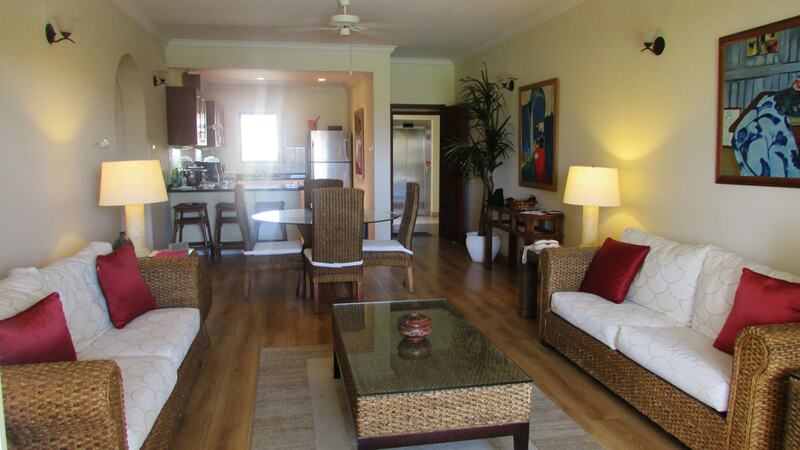 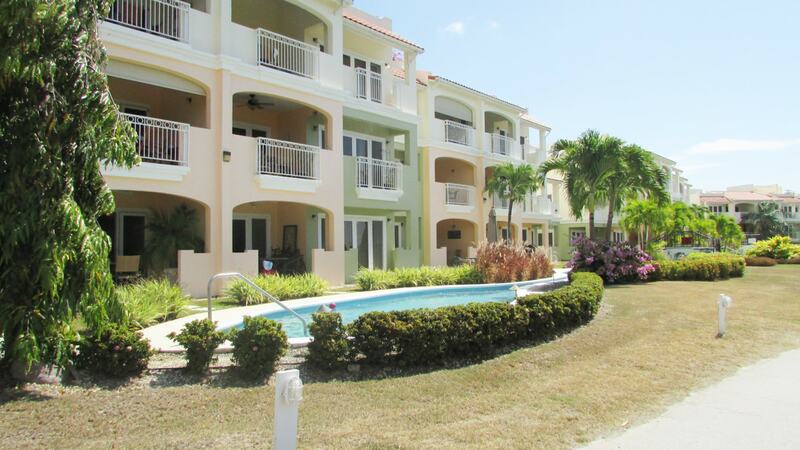 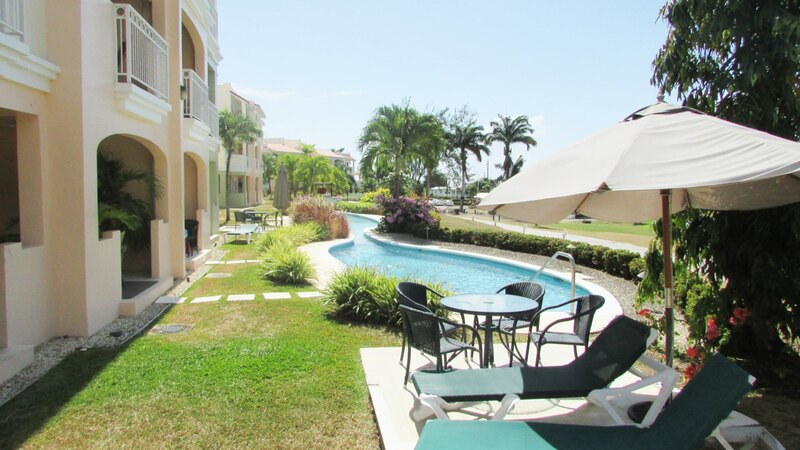 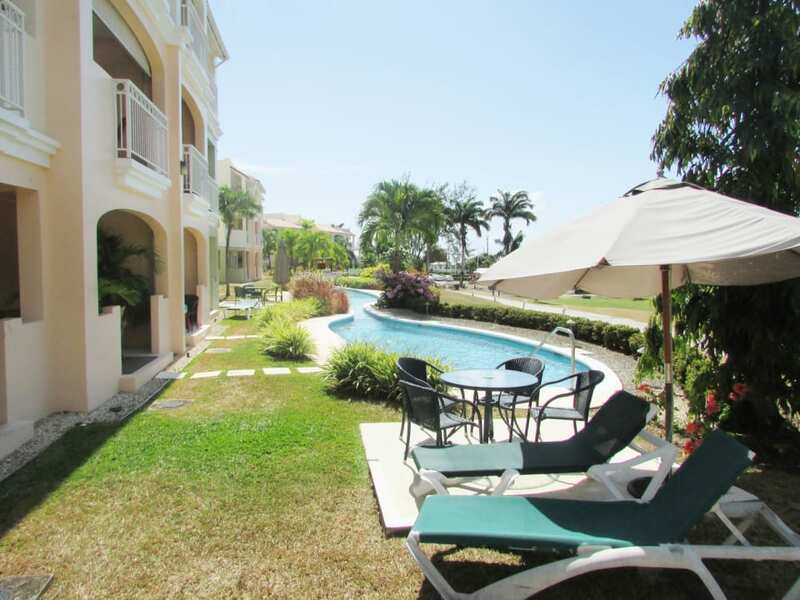 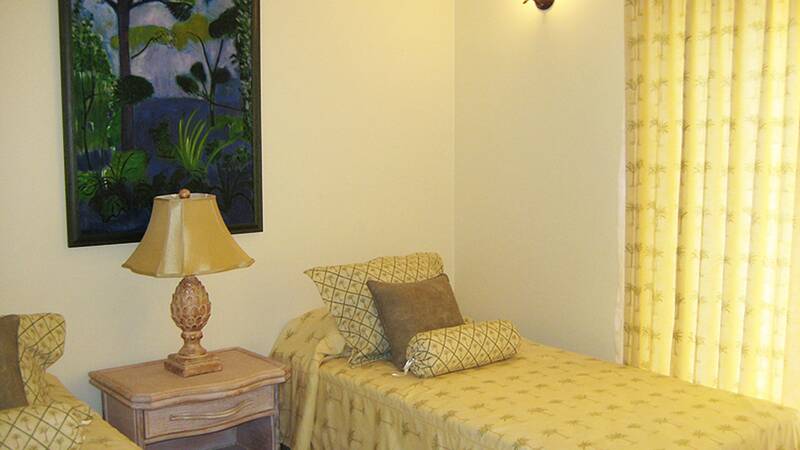 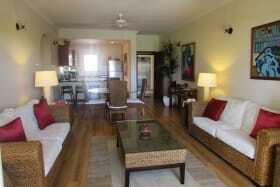 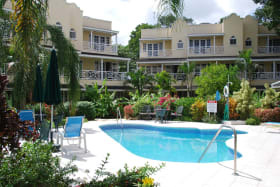 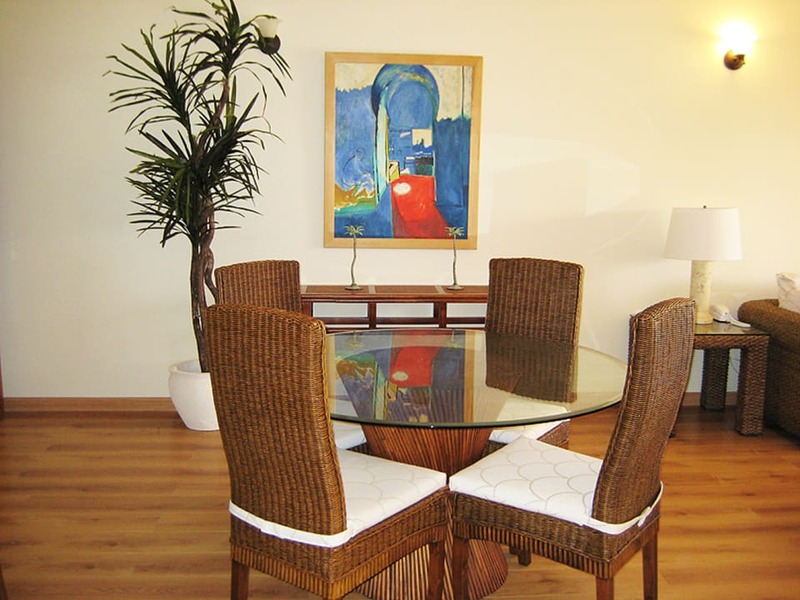 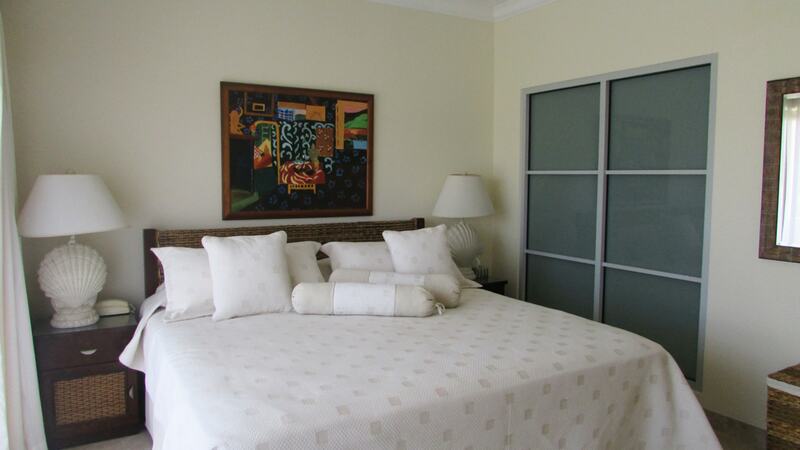 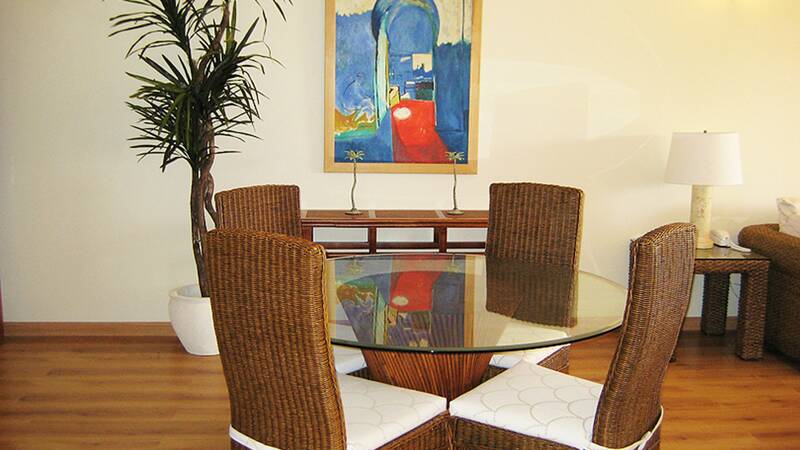 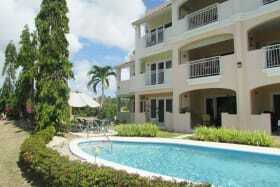 #32 is beautifully furnished and located next to the lagoon pool with free flowing waterfalls. 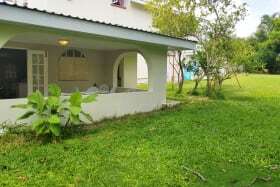 RATE INCLUDES UTILITIES (elec. 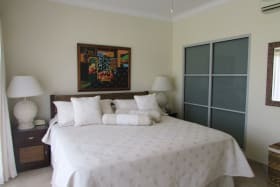 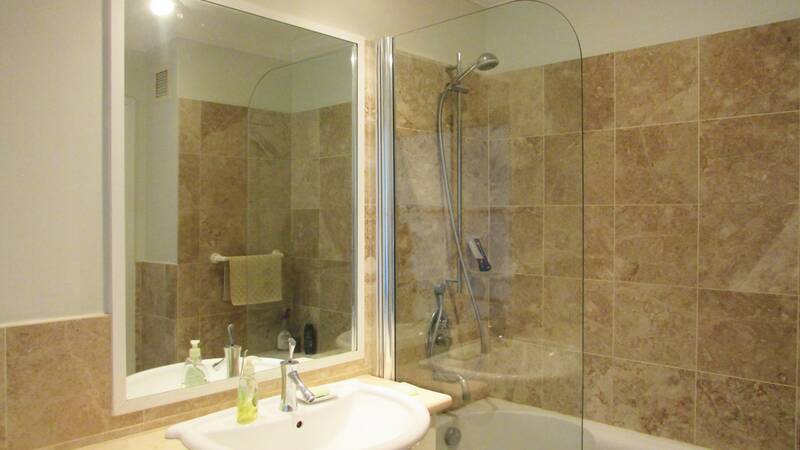 up to US $125/month) and cleaning service twice per month. 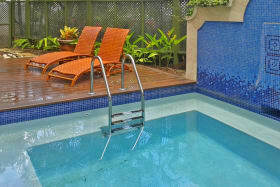 No children under 12.